Lozier built big, expensive cars first in Plattsburgh, New York, and then in Detroit. They didn’t build many but the ones that they did make are majestic. They were some of the most expensive cars available in their day. This one cost a whopping $5,995 in 1911 – about $150 more than the price of the average house. With only a few thousand Loziers built, they’re certainly rare. Finding one that has been restored to a state like this one is even harder to do. The restoration is older and has had “tens of thousands of miles” put on it since, but shows near-new. A luxury car through and through, this car should sell for between $400,000-$600,000. Click here for more info and here for more from RM at Amelia Island. Update II: Sold, RM Sotheby’s Arizona 2016, $990,000. 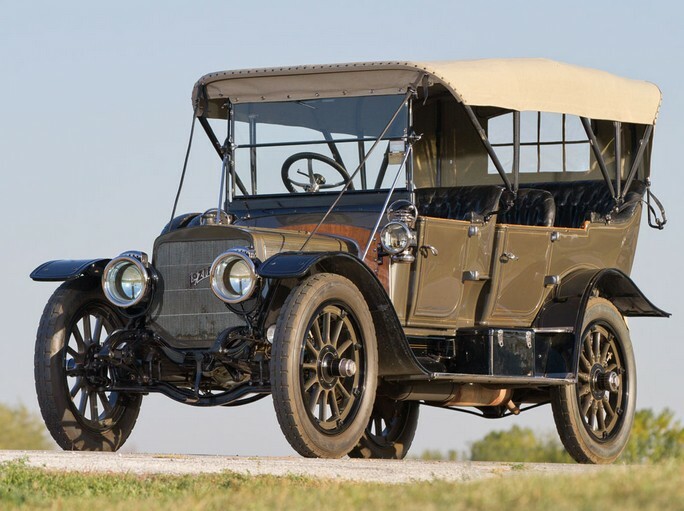 This entry was posted in Uncategorized and tagged 1911, auctions, cars, classic cars, lozier, model 51, rm auctions, seven-passenger touring by classiccarweekly. Bookmark the permalink. Without these kinds of cars, we wouldn’t have the cars we have these days since these models are considered to be the grandfathers of the cars we know today.